As they say, there ain't a thing as bad publicity because publicity is publicity. It is an aim for most people to be a sensation on social networks due to an act of mischief or creative but how far can such individual go to achieve such feat? 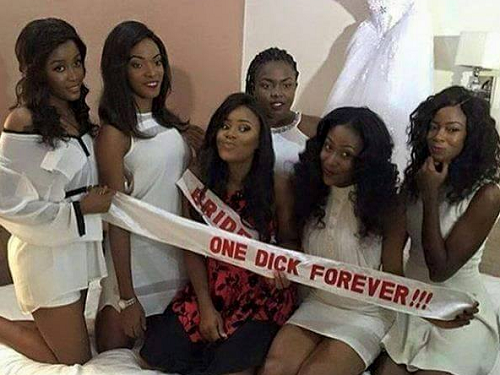 This bride took a snapshot with some friends and the caption has caused a stir. How do you rate such gesture?